Situated atop a ridge on the east side of historic Burkittsville, Maryland, the Hamilton Willard Shafer Farm is a farmstead currently undergoing restoration under the leadership of the Burkittsville Preservation Association. Erected in the first quarter of the nineteenth century, the brick dwelling house is illustrative of the transitory era between Federal and Greek Revival architecture while also displaying unique additions and decorative elements indicative of Victorian era alterations. Home to the Shafer family throughout much of its history, the farm was commandeered by U.S. Major General William B. Franklin to serve as his headquarters during the Battle of South Mountain on September 14, 1862 during the American Civil War. In the latter half of the twentieth century, the farm was the home of Mary Hamilton Shafer Motherway, a nurse and Public Health Service officer who served in the Canal Zone in Panama. 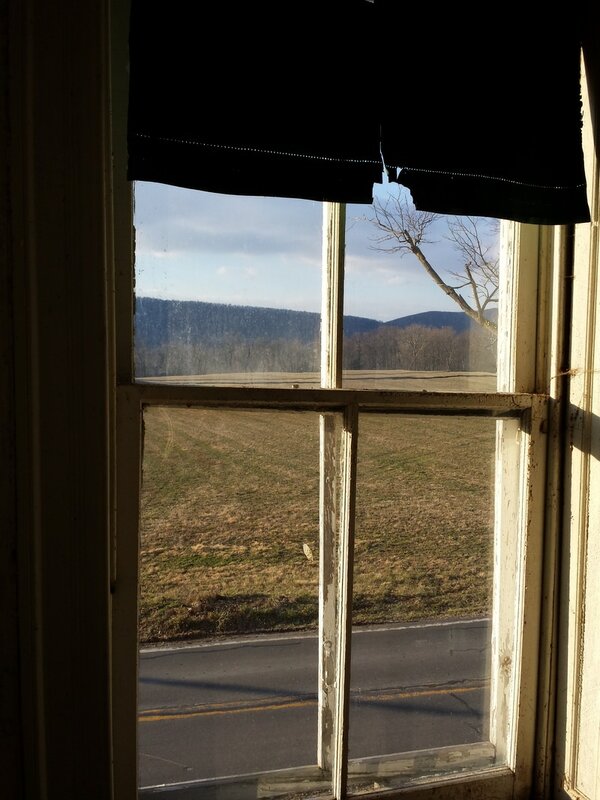 Looking from the windows of the Hamilton Willard Shafer house, the view to South Mountain remains largely undisturbed today and evokes the scene of General Franklin and his officers during the hours they spent at the farm on Sunday, September 14, 1862. The Battle of South Mountain was the first major engagement between the United States and Confederate Armies during General Robert E. Lee's 1862 Maryland Campaign. General Lee launched the campaign in an effort to take the war onto northern soil and put the United States into a defensive position for the first time in the conflict while also hoping to capture the United States Armory and Arsenal at Harpers Ferry. These plans were communicated to his subordinate generals in Special Orders 191 , a copy of which was lost in transit south of Frederick, Maryland. These "lost orders" soon came into possession of General George B. McClellan who immediately dispatched his Army of the Potomac to strike at General Lee's Army of Northern Virginia while it was divided in the attack on Harpers Ferry. On Sunday, September 14, 1862, the armies clashed in the three gaps of South Mountain, including Crampton's Gap just a mile from Burkittsville. Major General William B. Franklin was given command over the Sixth Corps of the Army of the Potomac and established his headquarters at the farm of Martin Shafer. The farm was ideally located on the eastern approach to Burkittsville with a clear vantage point to the mountain. The battle concluded at nightfall on September 14th when the United States forces pushed the Confederate forces off the mountain and into a retreat south through Pleasant Valley to the west. In the aftermath of the battle, over 1,150 wounded soldiers were transported off the mountain into Burkittsville where a dozen field hospitals were established, including in the town's two churches, schoolhouse, and several barns and outbuildings. Private homes were also employed to house wounded men, some of whom remained in Burkittsville until the end of January, 1863. On the day following the battle, the Confederate forces captured Harpers Ferry. With the United States forces in swift pursuit, General Lee ordered the Army of Northern Virginia to regroup and on September 17, 1862, the armies clashed in the Battle of Antietam, marking the bloodiest single day in American military history and the end of General Lee's Maryland Campaign. In the 1890s, the farm was purchased by Hamilton Willard Shafer (whose uncle, Martin, owned the farm at the time of the Civil War). Here, Hamilton and his wife, Sarah Margaret Arnold Shafer, raised three children, Ralph Alexis (born 1890), Nora Margaret (born 1896), and Mary Hamilton (born 1900). In addition to farming, Hamilton Shafer operated a grainery and warehouse at the Baltimore and Ohio Railroad Depot in Gapland, Maryland (just across South Mountain from Burkittsville). Many of the Victorian-era improvements visible at the house today were likely achieved through the resources earned by Hamilton Shafer in these various enterprises. His youngest daughter, Mary studied to become a registered nurse , becoming licensed in 1926. On November 9, 1929, she married James David Motherway in New York City. One month later, the couple moved to Ancon, Panama where James was employed in the accounting office in the Canal Zone while Mary worked as a nurse. Following James' death in Panama in 1937, Mary returned to the United States aboard the S.S. Cristobal, arriving in New York and then taking a train to Brunswick, Maryland. James was interred at St. Mary's Roman Catholic Church, where Mary and her sister and brother were raised. After returning to the United States, Mary continued to work for the Public Health Service, first as nurse at the U.S. Marine Hospital in Norfolk, Virginia and later in the Federal Prison at Alderson, West Virginia. She retired from the Public Health Service in 1964 after working as an information officer at Fort Detrick, Frederick, Maryland. Mary lived at her family's farm until the age of 99 or 100 when she moved to a nursing home. She died in 2004 at the age of 103 and was interred at St. Mary's Roman Catholic Church beside her husband and her parents and sister, Nora. 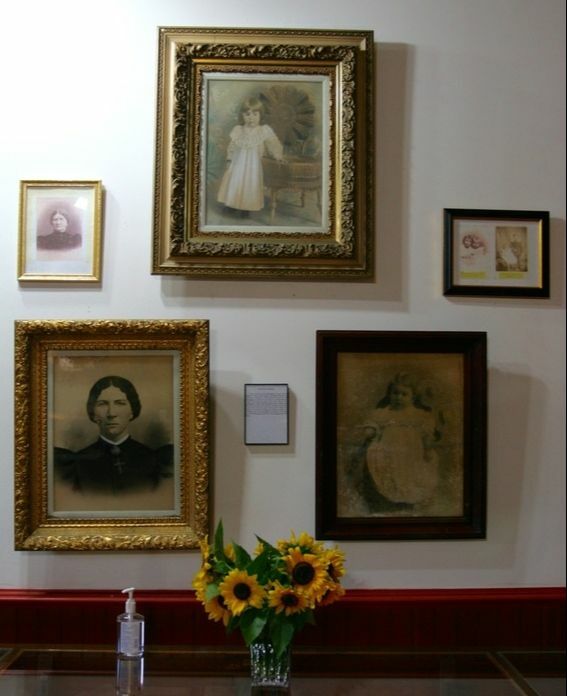 Shafer family portraits preserved in the museum at South Mountain Heritage Society in Burkittsville. Mary Hamilton Shafer Motherway is depicted as a young girl in the portrait at the top. 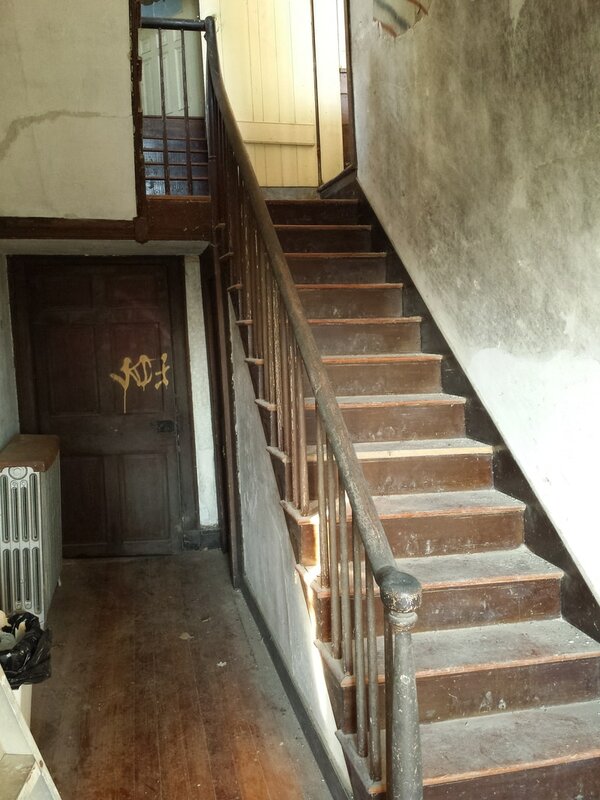 The entry hall with the open staircase which leads up two floors to the attic. The fireplace and built-in cabinets in one of the bedrooms. The bank barn located to the east of the house on the farmstead. The Hamilton Willard Shafer farm house is representative of the houses built by local landholders in the early nineteenth century, blending elements of Federal and Greek Revival styles in a vernacular expression. The Shafer House is unique for its later Victorian-era alterations which include a two-story addition with semicircular front wall and a Queen Anne styled cross gable. While much of the house's original fabric remains intact, a decade of neglect and abandonment have taken their toll on the property. Vandalism has greatly damaged the interior of the house while the deteriorating room has allowed for significant water damage to parts of the dwelling. 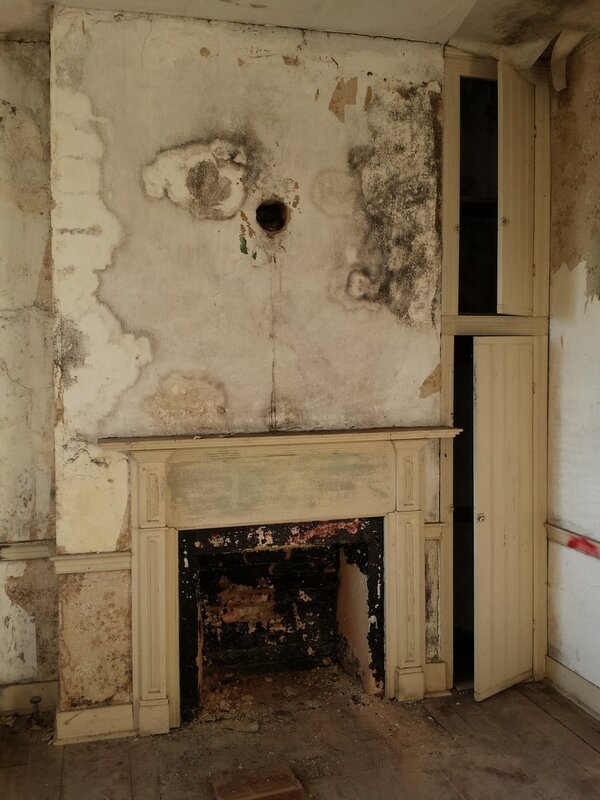 Following its acquisition by the Burkittsville Preservation Association, work has been underway to clear the house of debris, shore-up the worst structural damage, and plan for its full restoration. The historic house and the associated farmstead offer rich interpretive resources for studying agriculture in the 19th century in the Middletown Valley, the Battle of South Mountain during the American Civil War, and the remarkable life of the home's last resident, Mary Hamilton Shafer Motherway (1900-2004). 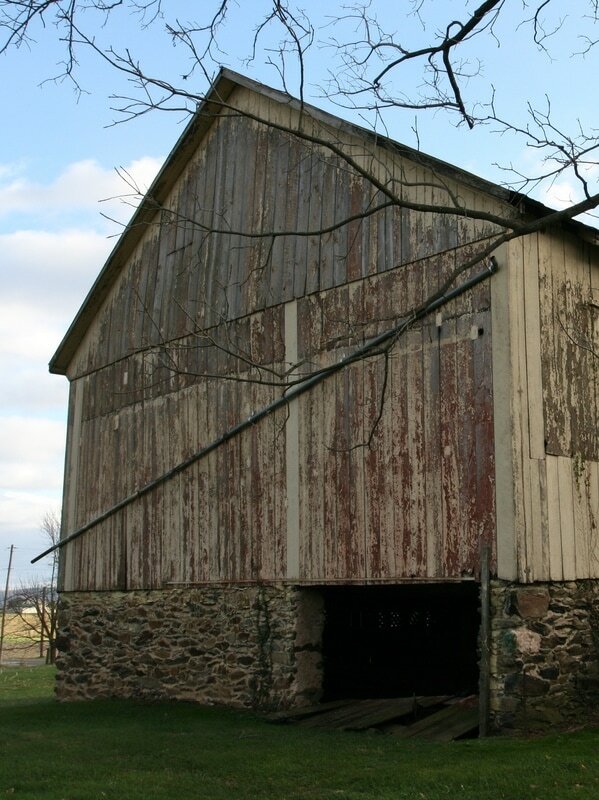 In recognition of this historical merit, Preservation Maryland designated the Hamilton Willard Shafer Farm as one of its "Six-to-Fix" properties in the state in 2017. As the Burkittsville Preservation Association began its work to preserve the Hamilton Willard Shafer Farm in late 2016, the need to organize the materials recovered from the house became apparent. Documents dating back to the second-half of the nineteenth century, including important records documenting the life of the Shafer family, especially Mary Hamilton Shafer Motherway, were discovered in boxes and cabinets around the house. Artifacts from the farm and daily life for the Shafer family were also discovered in the house and the various buildings on the property. The association initiated the project to gain intellectual control over this growing collection in January 2017. Jody Brumage, a graduate student in San Jose State University's Masters of Archives and Records Administration program was brought on to serve as the project archivist. Throughout the spring of 2017, the collection will be inventoried, described, and stored in archival quality boxes and folders. A digital exhibit will be prepared to showcase a sampling of the collection and to align its content with the mission of the Burkittsville Preservation Association. The association will also develop a collecting policy to manage future growth of the collection including born-digital content documenting the restoration of the property and other association activities. 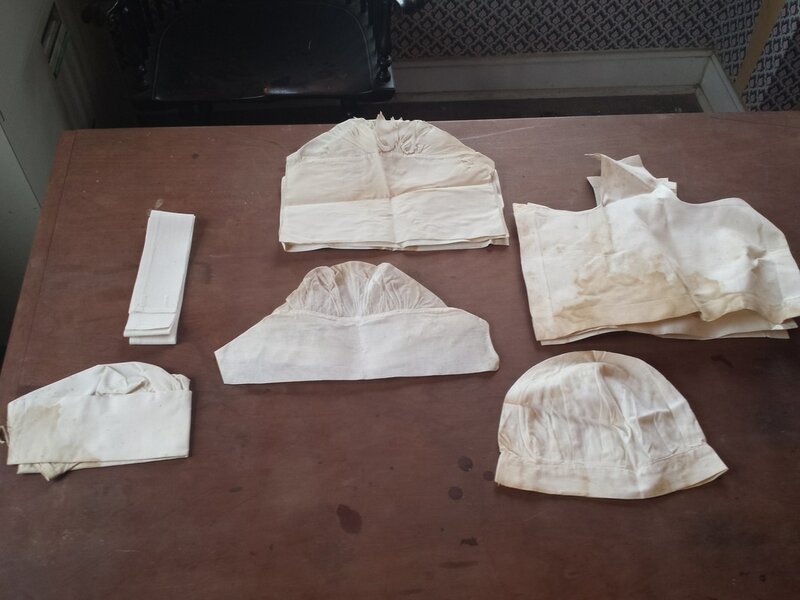 Pieces of Mary Hamilton Shafer Motherway's nurses uniform are among the various objects recovered from the house and now preserved in the collection. 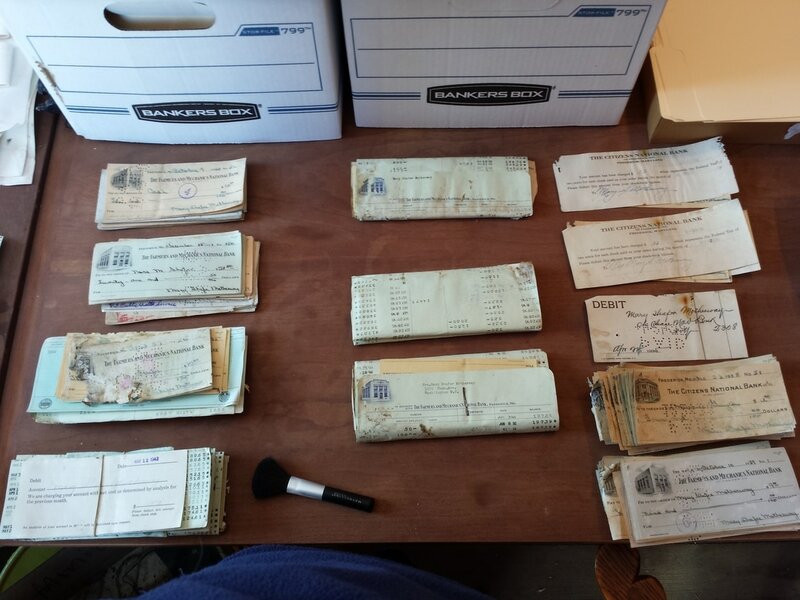 Over sixty years of financial records document the daily life of Mary Hamilton Shafer Motherway during her career in the United States Public Health Service as well as her retirement and life on the family farm in Burkittsville.